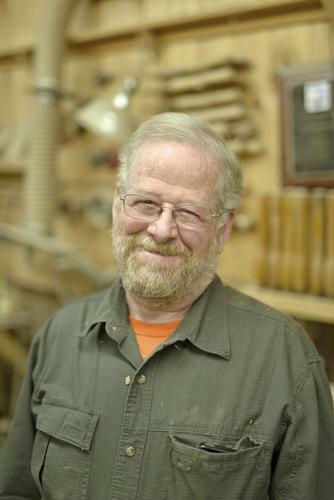 Castine woodturner Temple Blackwood has spent nearly five decades at his craft, and has taught students far and wide, including Christina Snow of Penobscot, who now runs Bagaduce Woodturning. Both talk about their love for the fine craft. 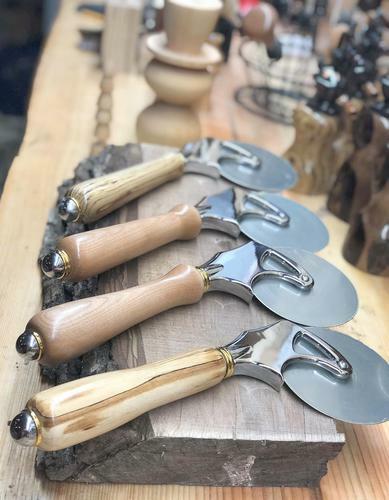 Pizza cutters, with wood turned handles by Bagaduce Woodturning. 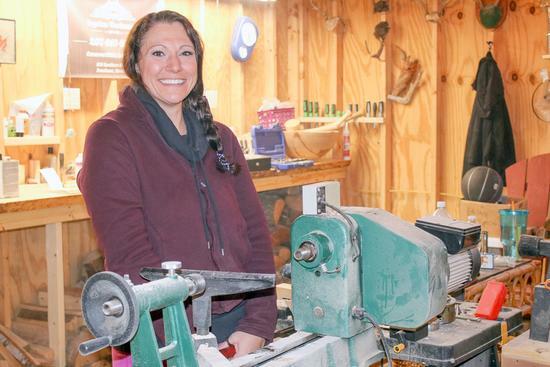 Christina Snow prepares for a morning’s work at her Penobscot shop. Temple Blackwood, of Highlands Woodturning, Castine. 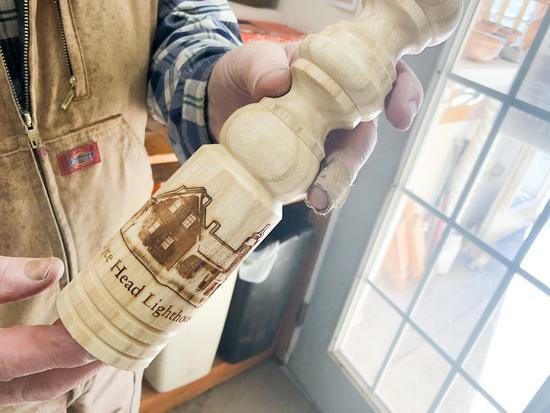 Temple Blackwood displays a piece of work he then engraved for a local flavor. 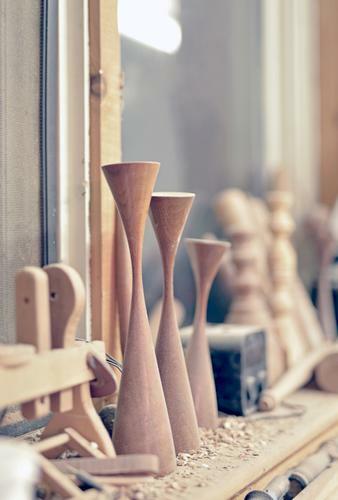 Works in progress at Highlands Woodturning.